In The building we Stayed, there live Sam Siu and his wife Kam Kiam. In their house live their 4 daughters, a brother, and around 6 little children. When we came in to take a picture of Mrs. Kiam, we found Sam Siu sleeping on the floor in a corner of the room, while 5 women were playing cards in the other corner, laughing and making noise. The children around the women. When we came in, all the women and children started talking to and caressing our 2 year old son, Sét. Sam Siu woke up and saw us and our camera equipment. He called his grandson, a young man, and helped us install the lightbox. During the photoshoot he was sitting close by watching. When it was his turn to be portrayed, he sat down completely still. 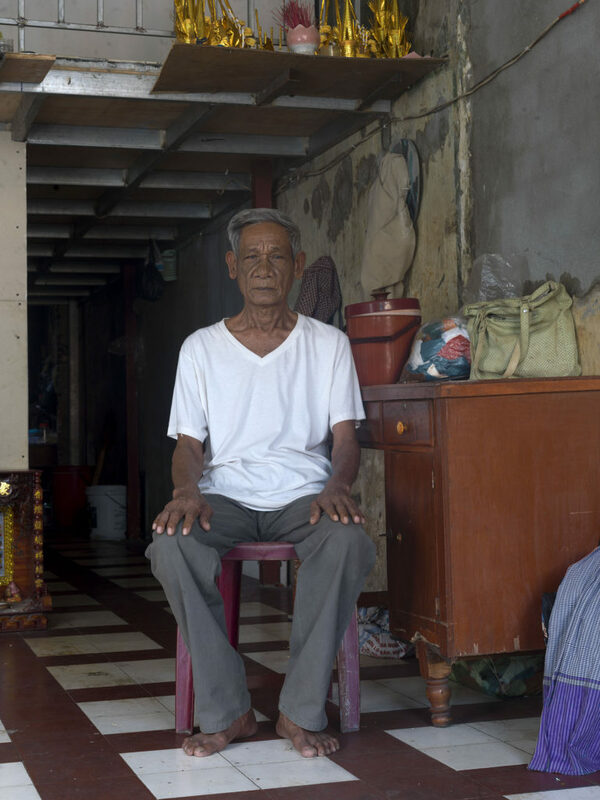 We did not speak Khmer, as he did not peak English, so communication was almost without words. 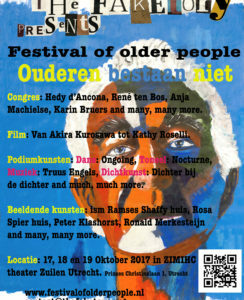 Why did you not invite me to your wonderful Festival of older People? I am the director of the Legacy Film Festival on Aging in San Francisco, and we just completed our 7th Year. Please register me for next year! I am coming!